I don’t recall the first time I saw a video of a Cirque du Soleil show, it was either on national TV during Christmas or during a plane flight. I do know it was Alegria and it was love at first sight. After seeing Alegria I watched all Soleil’s shows available online: Varekai, Dralion, Ka, La Nouba, Quidam, Corteo, Saltimbanco (in order of preference). I watched live Varekai, Alegria, Michael Jackson: Immortal and Dralion. I wish I could go to Las Vegas watch Ka! Everyone knows I’m a Cirque du Soleil evangelist and I’ll tell you why. Alegria literally means joy in Portuguese – that’s what Soleil brought to my life. 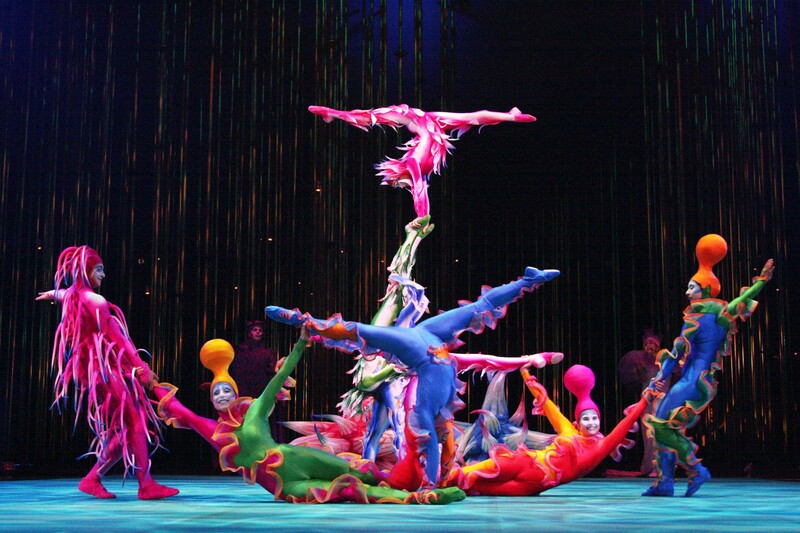 Varekai is like diving into a fantasy world. That’s how I felt. When I saw the first actor come into scene, dressed in blue with perfect makeup, slow beastly gestures right in front of my eyes, my tears started falling down. Just recalling that memory wets my eyes. Varekai takes place in a bamboo forest. Icarus falls into that forest and we get to see all those colorful creatures seeing a human for the first time. It’s a perfect mix of setting, acting, makeup/costumes, music, story. During those minutes you leave the real world behind and all your senses focus on the stage. You’re a spectactor – you see, you hear, you feel – in a fantasy world. You may argue the tickets are expensive. Money exists to be spent and you should spend your money on experiences not stuff. Your stuff (including your iPhone) worths less everyday. Experiences live as long as you, and studies proved that as time goes by past experiences are remembered as being happier than they really were. Now that’s a smart investment. Not convinced? Go see live it for yourself.